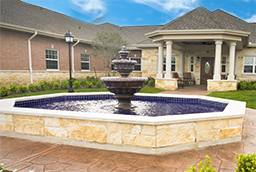 Based in Irving, Texas, The LaSalle Group, Inc. specializes in senior living residences for independent living, assisted living, and memory care communities for those living with Alzheimer’s and other forms of dementia. More than 1,000 employees strong, our family-owned-and-operated business offers our capital partners strong financial stability, steady growth, and a reputation for excellence in both senior living residences and other service lines. The LaSalle Group focuses on a unique niche in the growing senior living real estate sector. Although The LaSalle Group’s four divisions develop independent living communities, assisted living communities, and other business lines, our specialty remains senior memory care communities. Since 1999, the mission of The LaSalle Group has not changed. 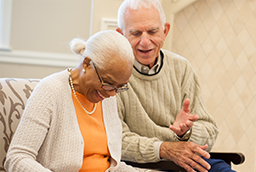 We are fully determined to be the best and preferred memory care provider through our proven excellence and expertise. We are committed to smart, steady growth – both related and unrelated to our current senior living businesses – while never compromising quality or care, in order to create positive opportunities for our current and future residents, residents’ loved ones, employees, and business partners. As the parent company, The LaSalle Group provides consultation, business support, and management in the areas of finance, accounting, asset management, HR, IT, legal, and marketing. Over the years, The LaSalle Group has provided the highest quality senior housing for those with memory impairment. From the initial launch of our first Alzheimer’s and Memory Care Assisted Living Community, branded Autumn Leaves®, we have worked to refine and perfect the development, building, and operation of each and every memory care residence while always putting our residents’ needs first. Today, we represent more than 1800 units with 40+ properties in Florida, Georgia, Illinois, Kansas, Oklahoma and Texas. As more and more businesses explore new opportunities in a challenging economic landscape, capital sources, including private equity, are looking to The LaSalle Group as a long-term business partner. Because we are both an owner and general partner, our strategic focus is on building lasting relationships that deliver solid returns to our partners and meet the nation’s growing demand for senior living services. This Total Delivery Approach™ continues to provide excellent care for our residents and an excellent return for our capital partners. From the ground breaking of our first Autumn Leaves to the finishing touches on our latest community, The LaSalle Group’s business model continues to guide our four divisions in maintaining quality, excellence and success. If you would like to learn more about how you can partner with The LaSalle Group, call us today at 800-452-7255.